Just when you think someone is strong, influential, or untouchable, Durarara!! takes those expectations and violently turns them on their head. The reverse can happen as well, when a weak character suddenly becomes powerful, and that’s the beauty of the series. Even if this season got a tad messy in terms of character motives being explained, like the Awakusu group, Izaya, and Rokujou’s biker gang, I think this theme of power reversal is upheld very well. For context, we saw this in the first season with Mikado revealing himself to be the founder of the Dollars and Celty calling Officer Kuzuhara a monster. 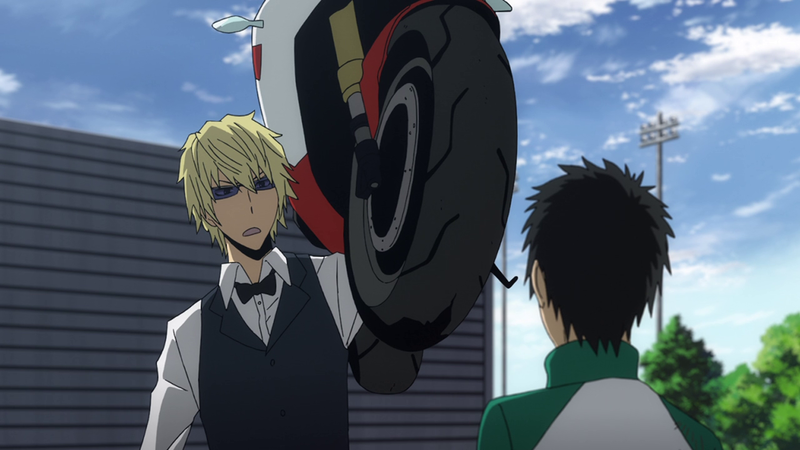 While on the subject of power, Shizuo retains the title of the strongest man in Ikebukuro by shouldering Vorona’s motorcycle as if it were a barrel of bananas as well as playing soccer with someone’s poor car. Even getting stabbed multiple times doesn’t seem to phase him anymore. As I’m sure we’ve clearly established by now, Shizuo may be the biggest monster in the series despite being very much a normal human being in all other aspects. Even Vorona is no match for him, though when you think about it she hasn’t been able to accomplish much since coming to Ikebukuro. 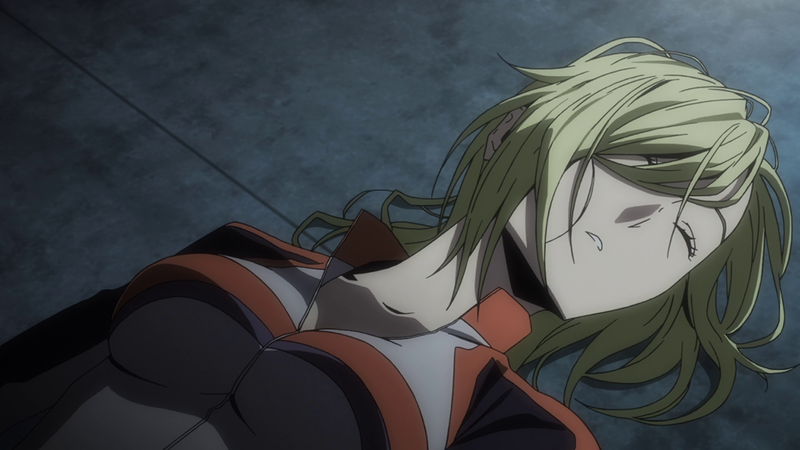 While I can’t say the same for poor Sloan, I’m sure we’ll see more of Vorona in the next season. Maybe she’ll be making making questionable sushi at Simon’s restaurant? In the end, this season built up to Mikado taking Aoba’s offer to be the leader of the Blue Squares, but not before stabbing him in the hand with a pen. As Mikado keenly points out, his struggles are child’s play compared to the more brutal things that were going on at the same time with Vorona, Celty, and the Awakusu. It seems like the whole point of this season was to raise the stakes of what it means to be a Dollar and what it means to have been the founder of the group. With the Blue Squares now under his wing, Mikado may get the control that he’s always dreamed of. This season lacks a lot of the mystique and intrigue that made the first season so great. The original series was exciting because we followed Mikado’s assimilation into a completely foreign world, along with all of the events that ended up unfolding. 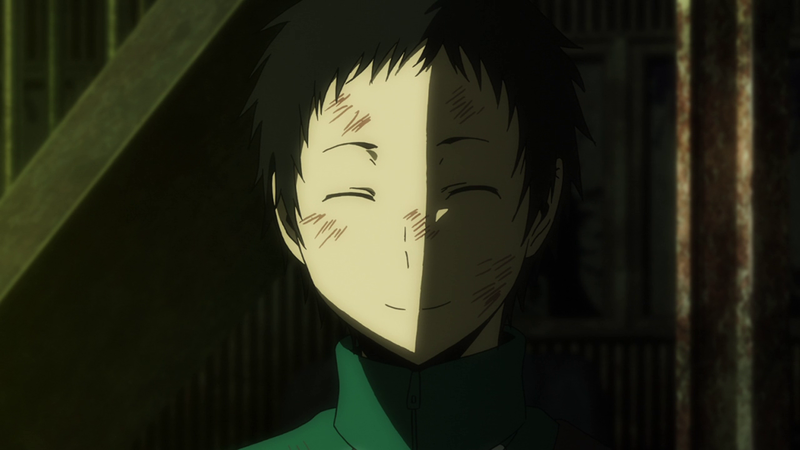 While this season is ultimately about Mikado’s struggle, the road to developing this narrative took a lot more detours and was less elegantly created, in my opinion. Still, Durarara! !x2: Shou stands a strong work of anime thanks to its complex method of storytelling, and I look forward to its continuation in July. In the meantime, Izaya will continue to bleed out on that crosswalk.